Get the henna look, but with glitter instead. Designs are hand-painted with cosmetic glue, then the glitter powder applied. When the excess powder is brushed away, a beautiful design emerges that lasts for days. Great for summer swim parties! Many designs to choose from. 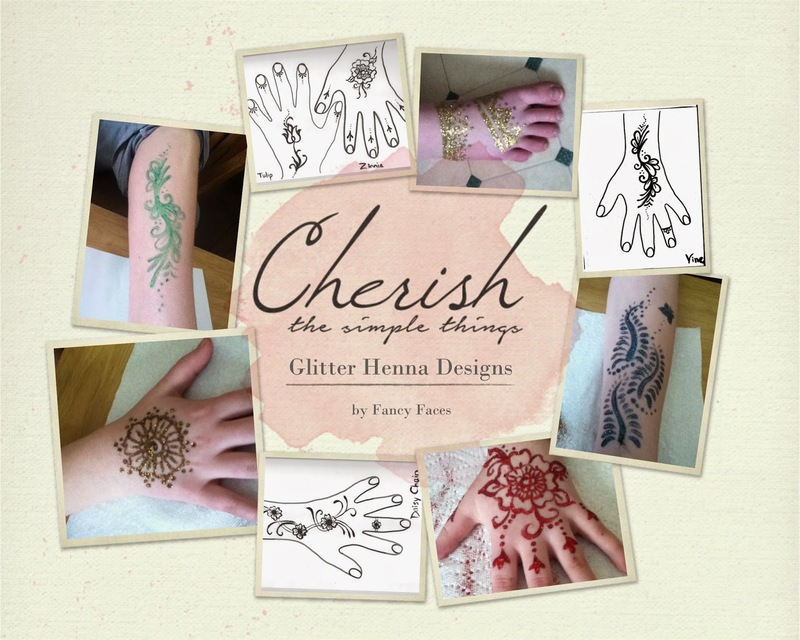 To schedule a Glitter Henna Tattoo party, email fancyfaces2010@gmail.com. $100 for up to 12 guests. Travel fees apply if outside Monroe County.